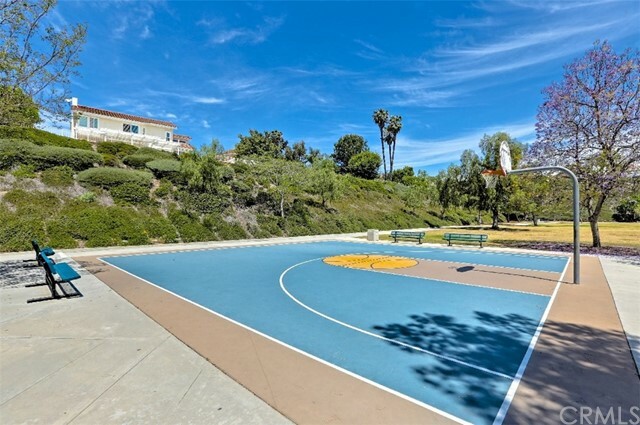 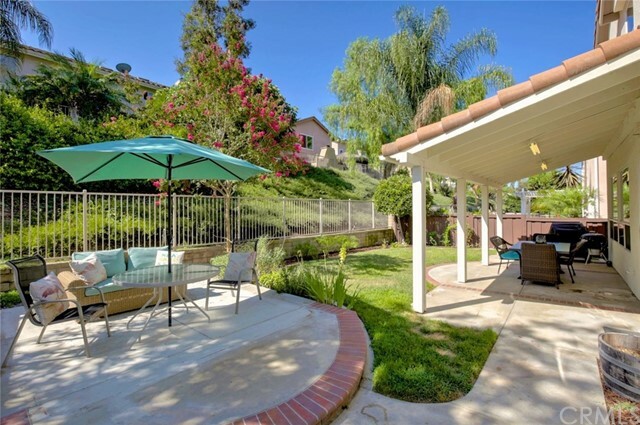 TURNKEY-PARK ADJACENT-FIVE BED (ONE DOWN) THREE BATH (ONE DOWN) HOME! 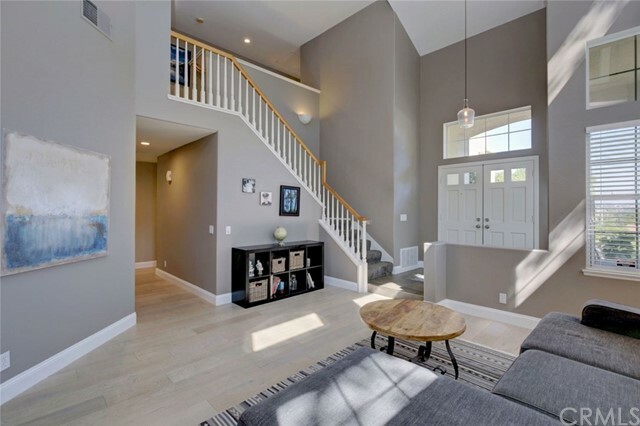 Beginning with great curb appeal, step through a double door entry into an abundance of light with grand two story volume ceilings! 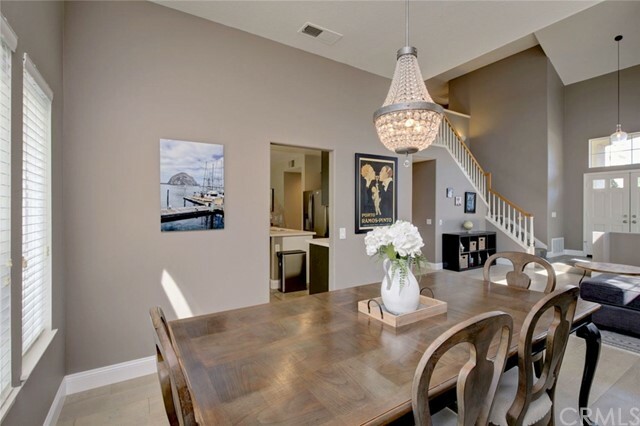 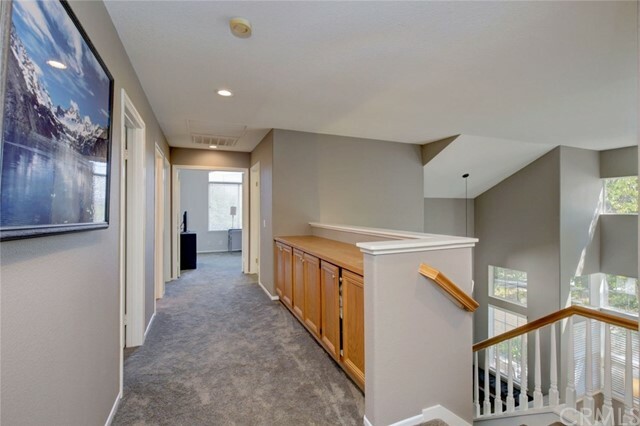 Neutral contemporary paint and a dramatic staircase add to the appeal. 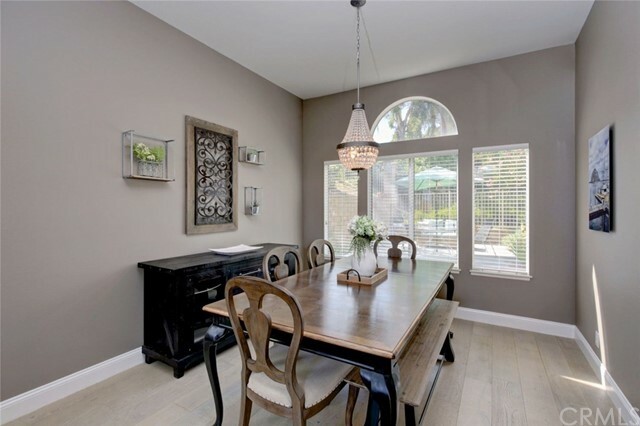 Inviting, the formal living and dining rooms feature stylish wood flooring, numerous windows and a beautiful chandelier. 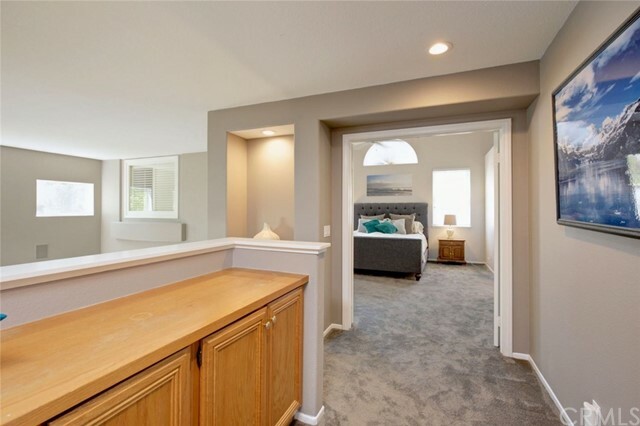 Beyond is the completely updated kitchen and adjoining family room - this area will most certainly be the heart of the home. 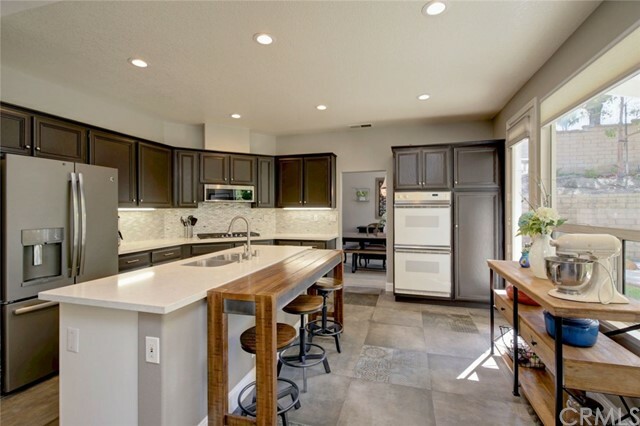 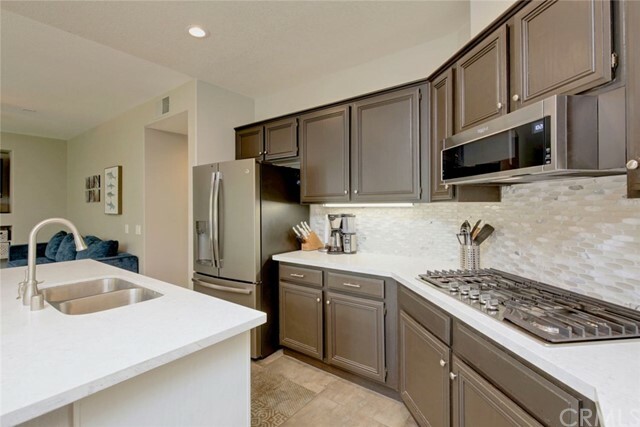 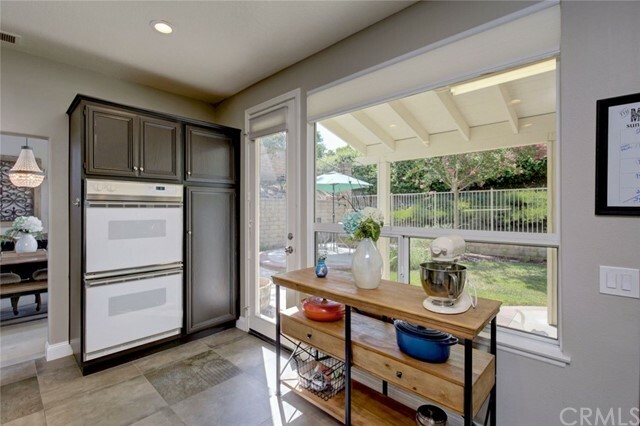 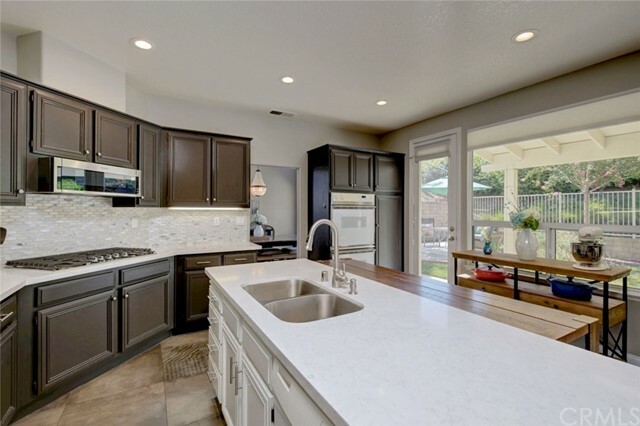 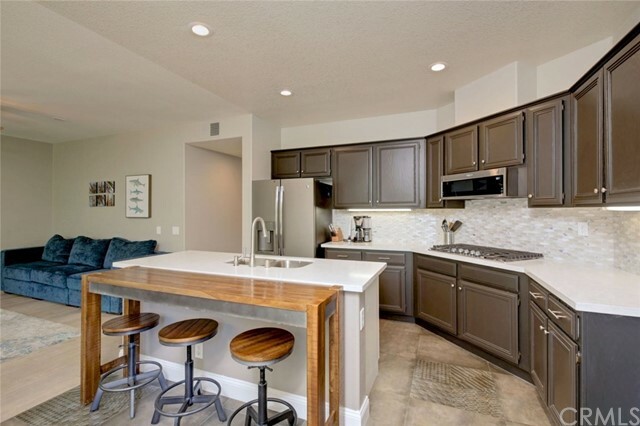 With quartz counters, tile backsplash, recessed and task lighting, updated stainless appliances including a 5 burner gas cooktop, dishwasher, double ovens and a center island - this kitchen is a chef’s delight! 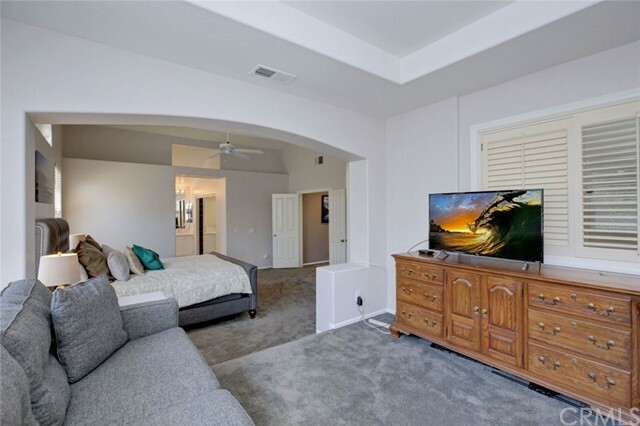 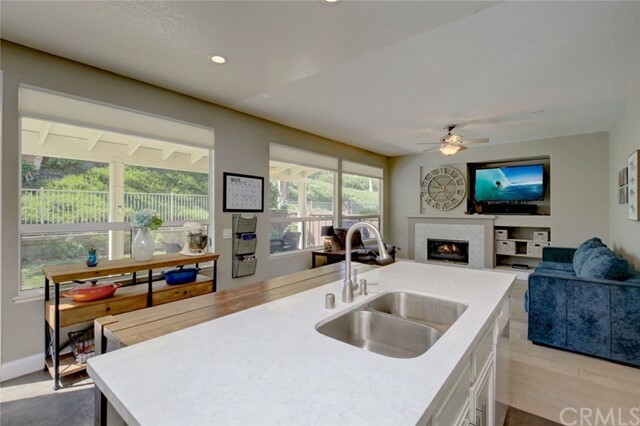 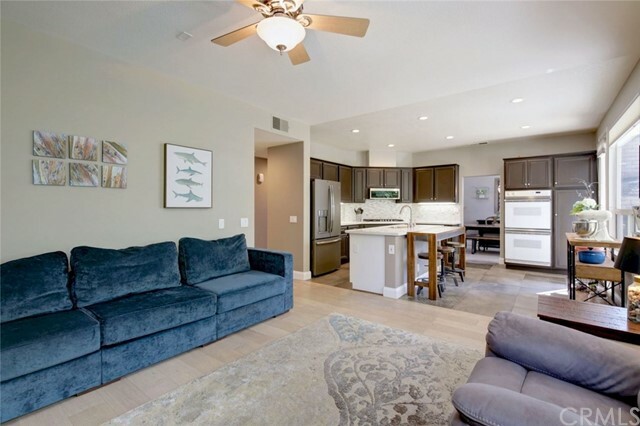 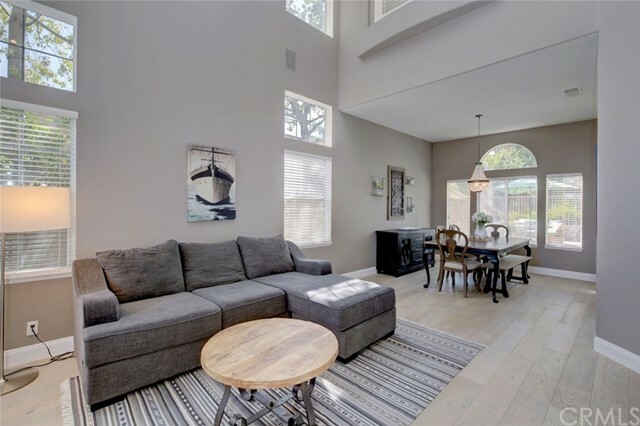 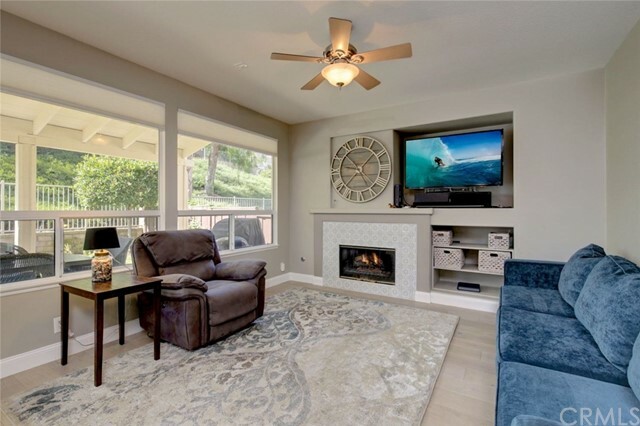 The family room offers a tile mosaic fireplace and looks out to a covered patio yard with multiple seating areas and plenty of space to entertain or play. 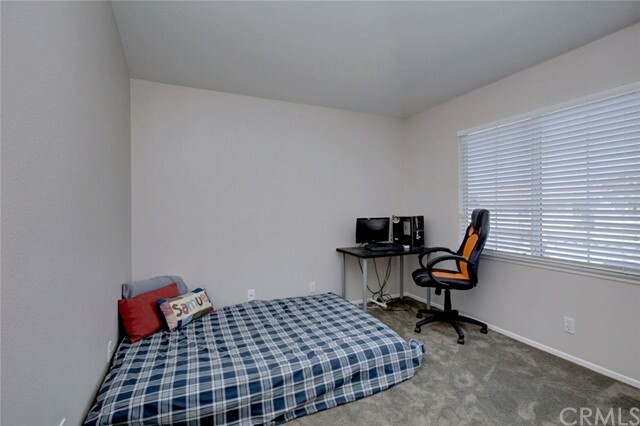 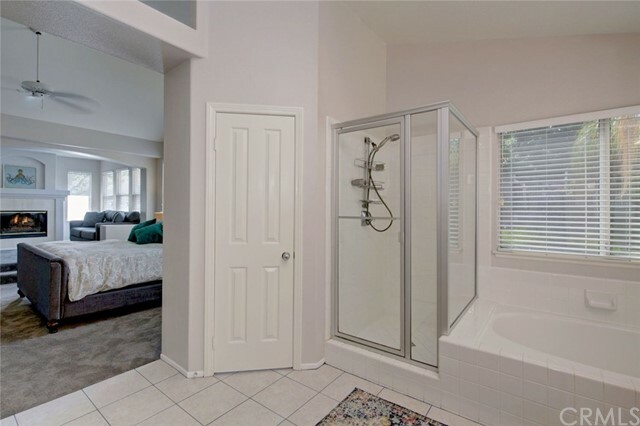 A downstairs guest bedroom/office and a full bath complete the first level. 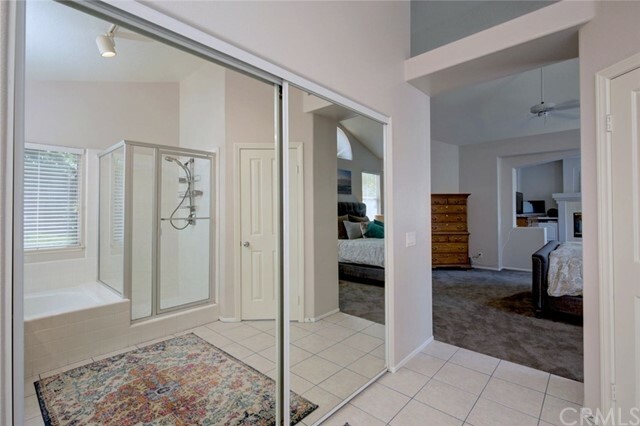 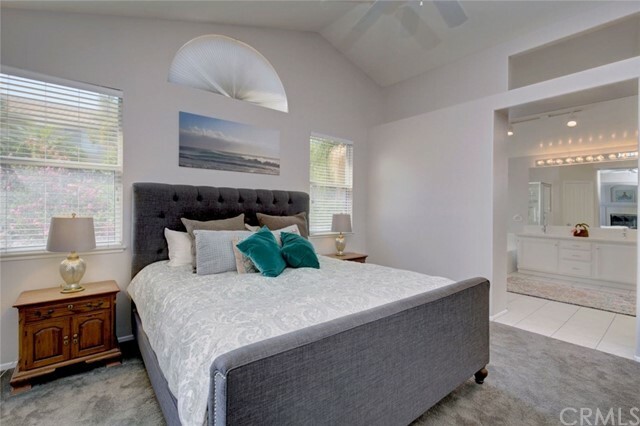 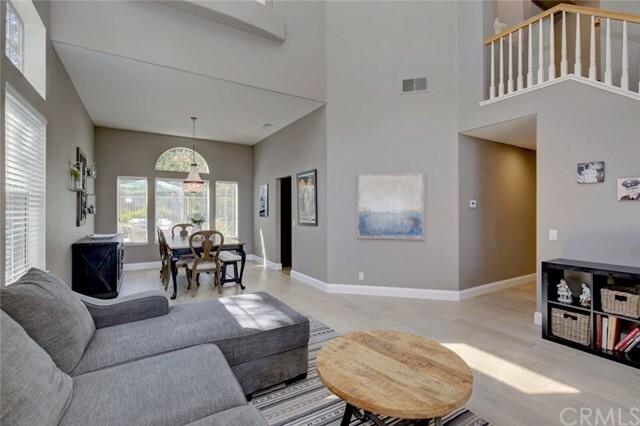 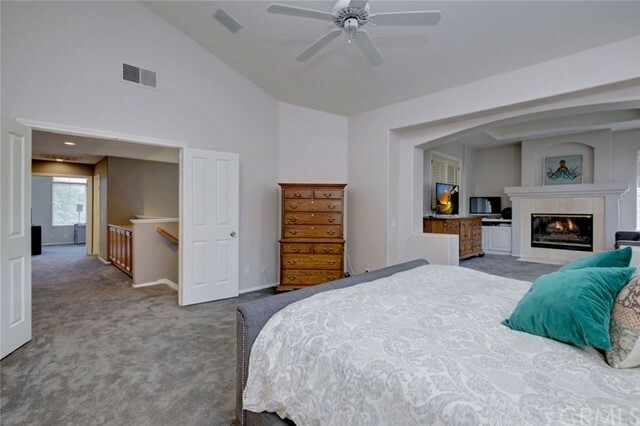 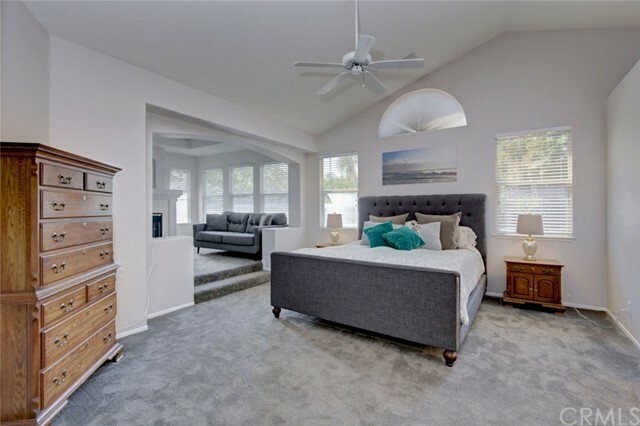 Upstairs the sprawling master suite features vaulted ceilings and a spacious sitting area w/a fireplace. 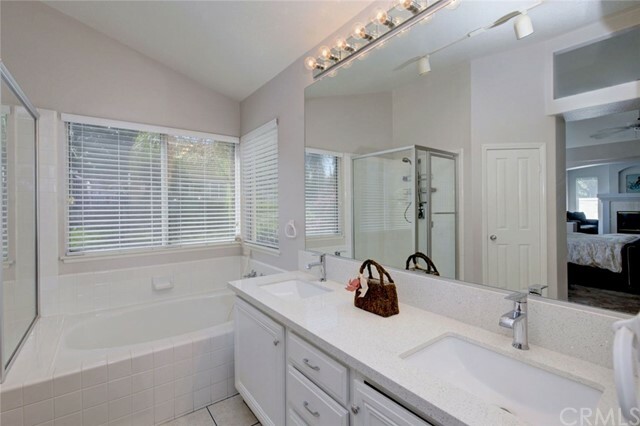 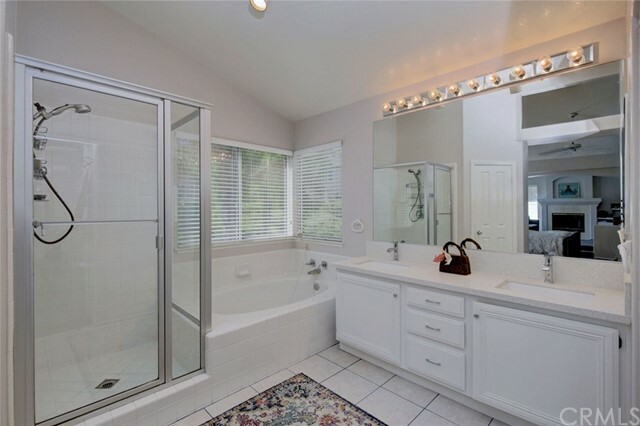 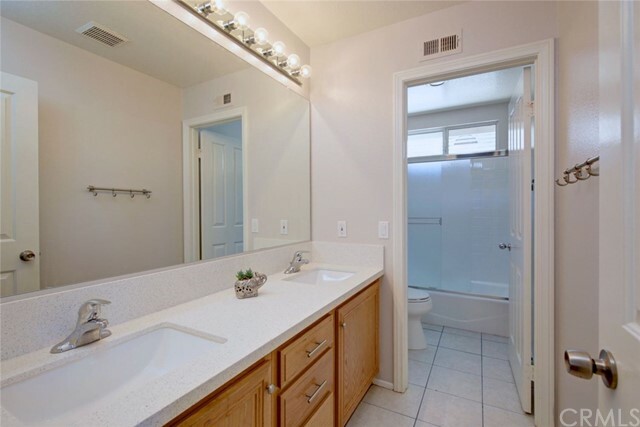 Light and bright, the master bath is complete with Quartz countertops, dual sink vanity, separate shower & tub and dual walk-in closets. 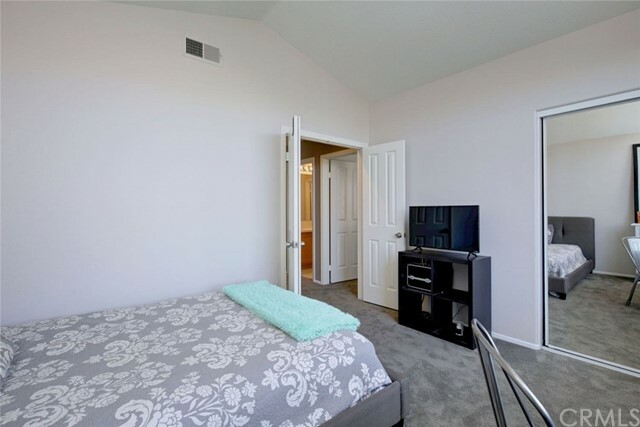 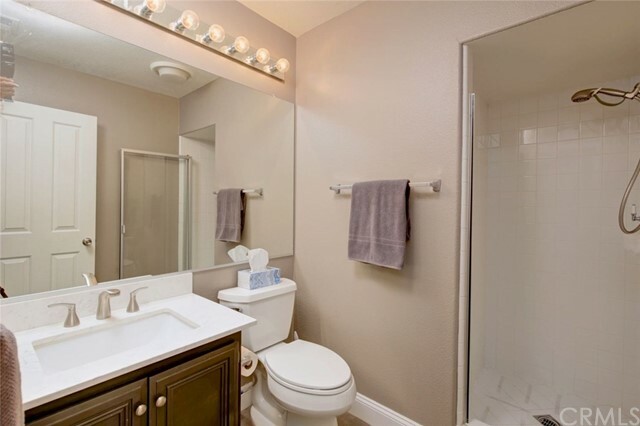 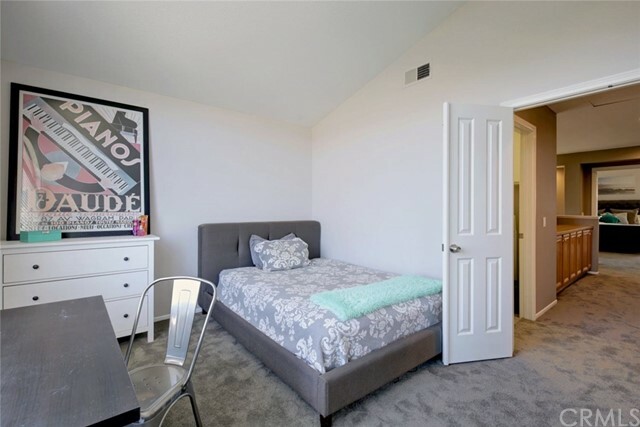 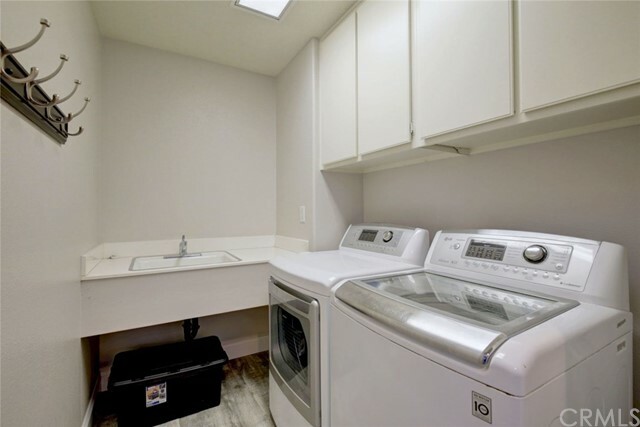 3 additional bedrooms, an updated guest bath & a laundry room complete the upstairs. 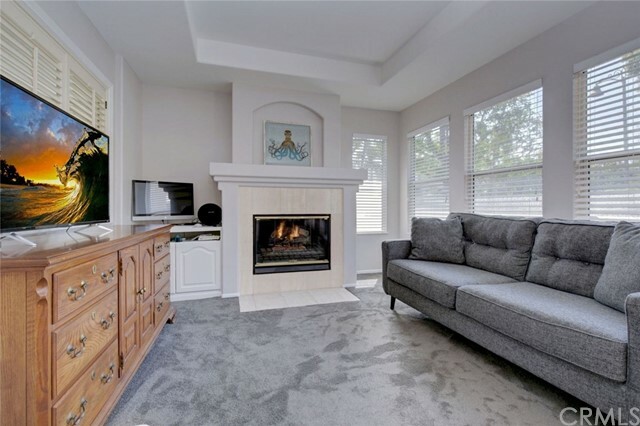 With an attached 3 car garage and located steps from Fieldcrest Park & minutes from great schools, shopping & dining, this is the ONE for you! 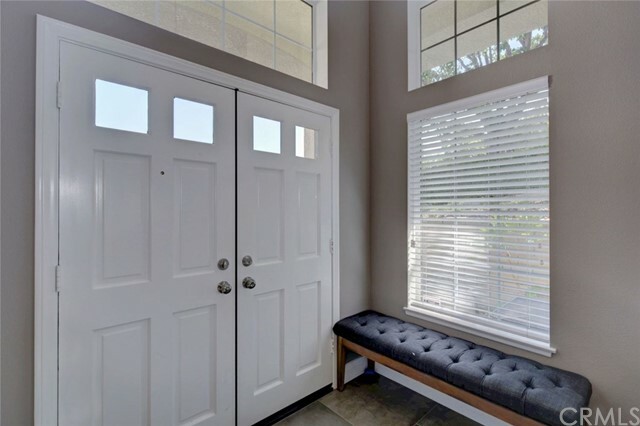 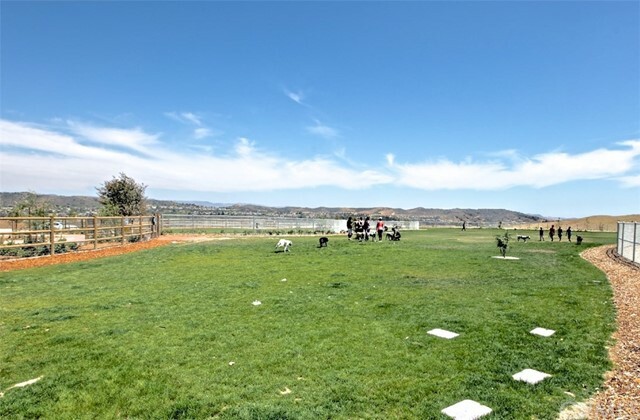 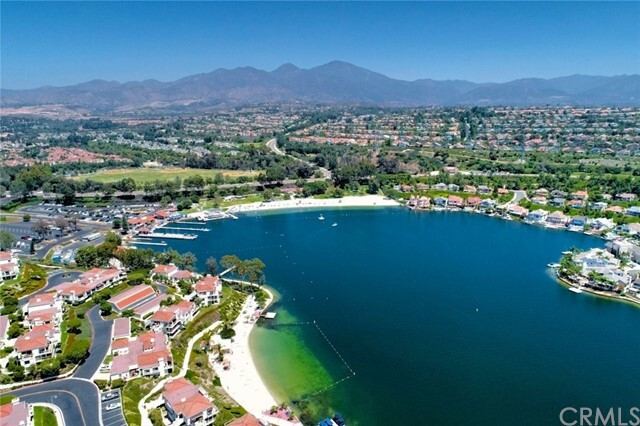 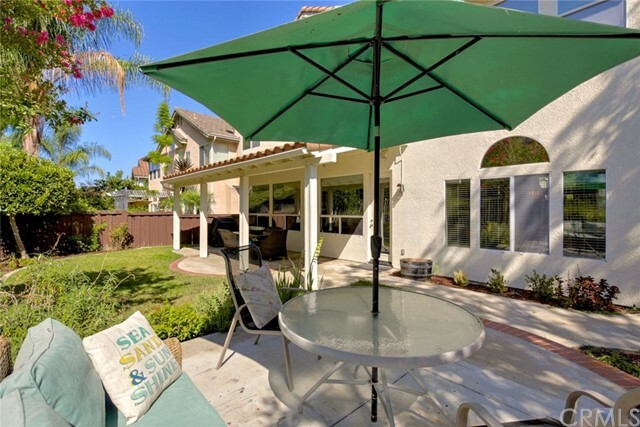 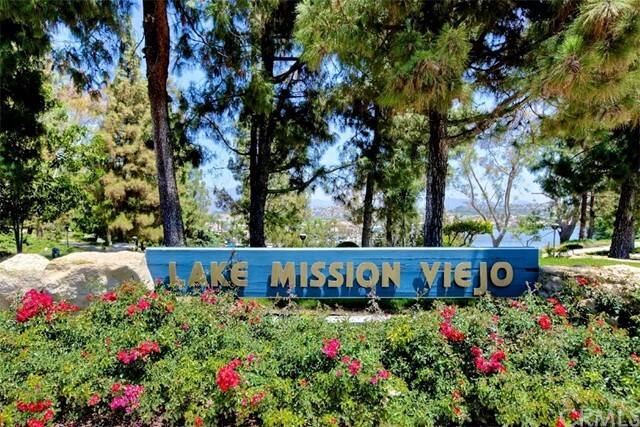 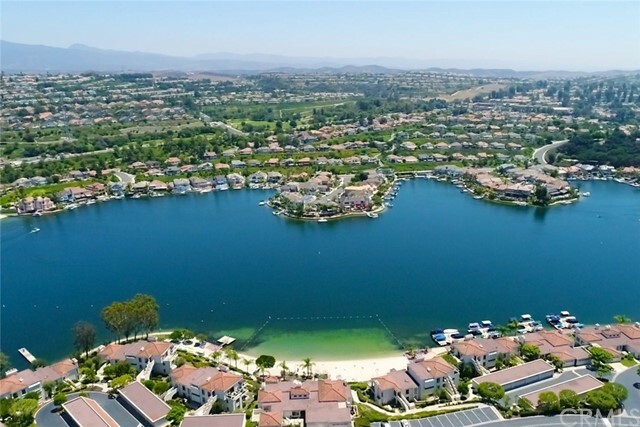 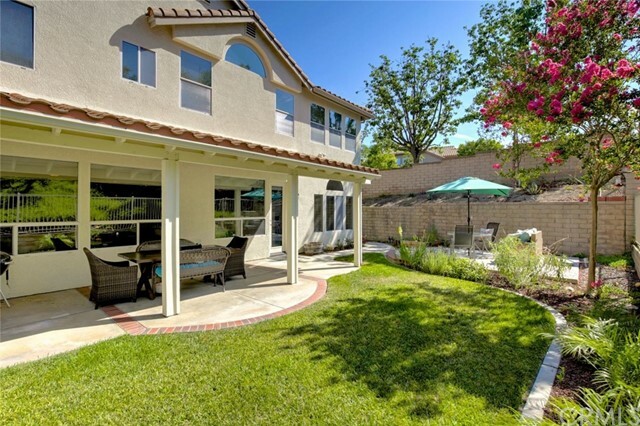 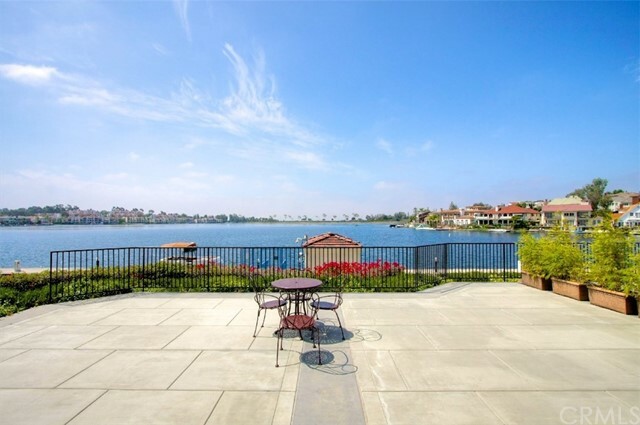 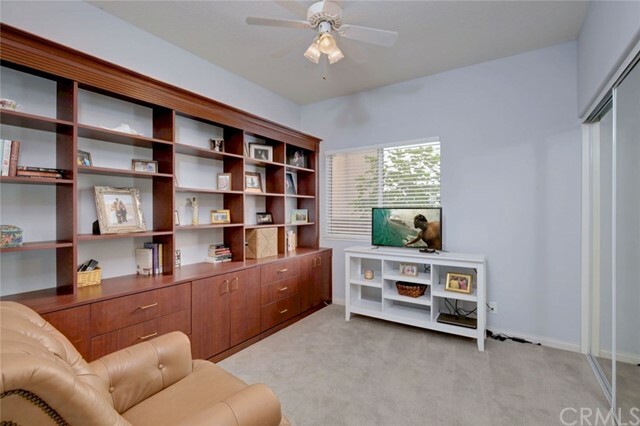 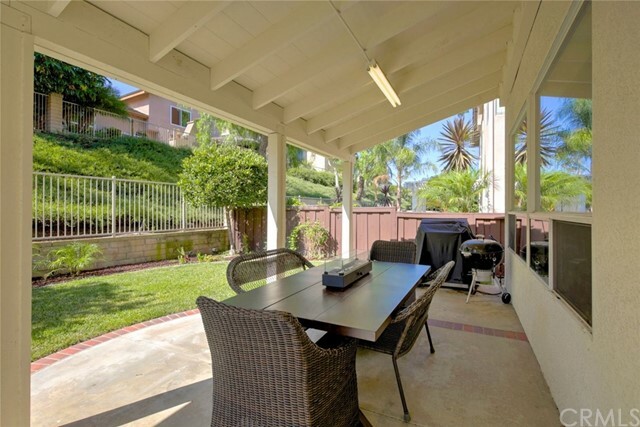 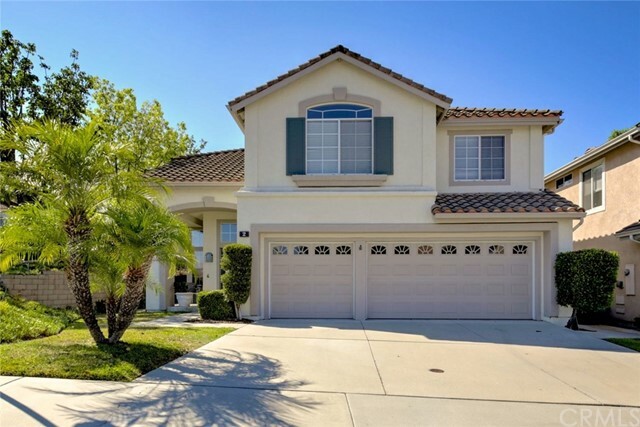 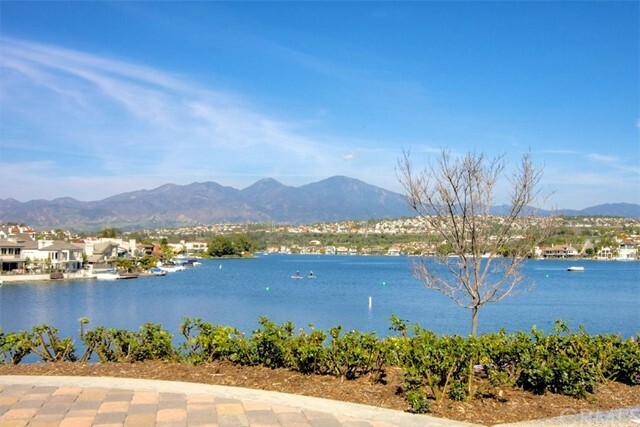 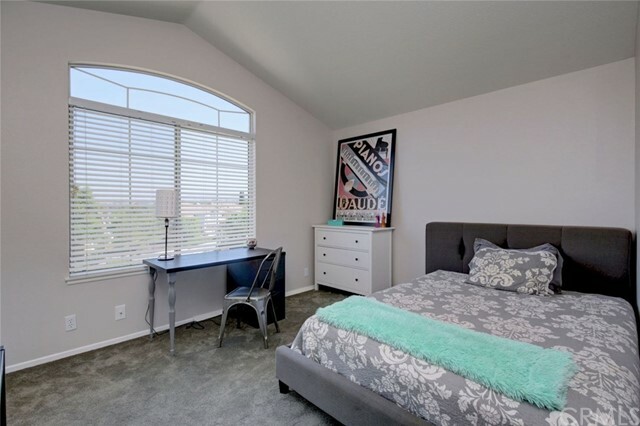 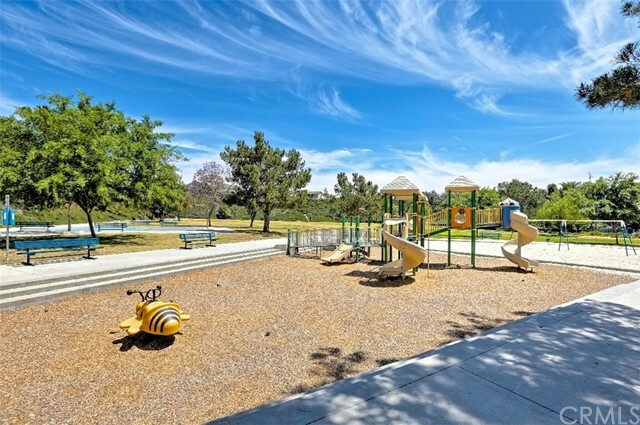 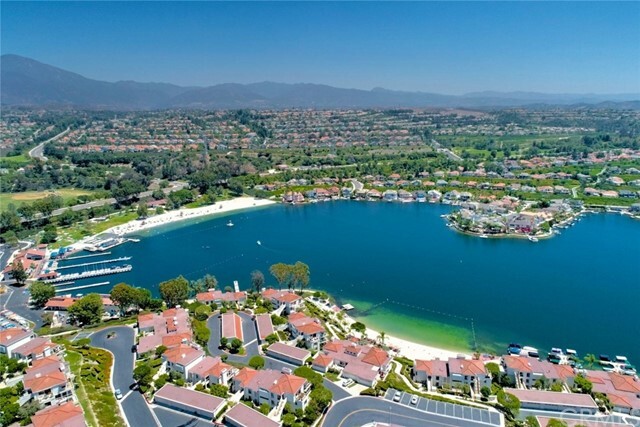 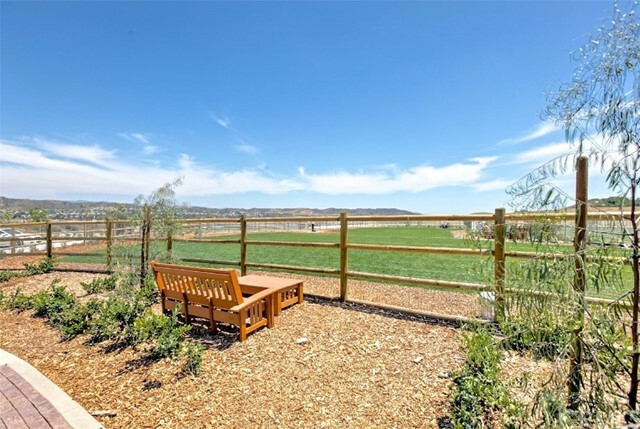 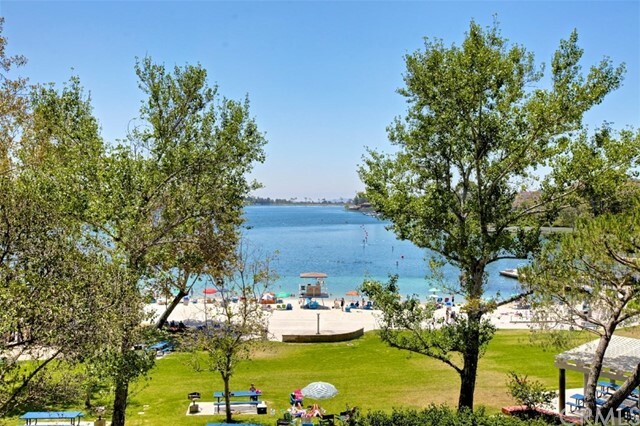 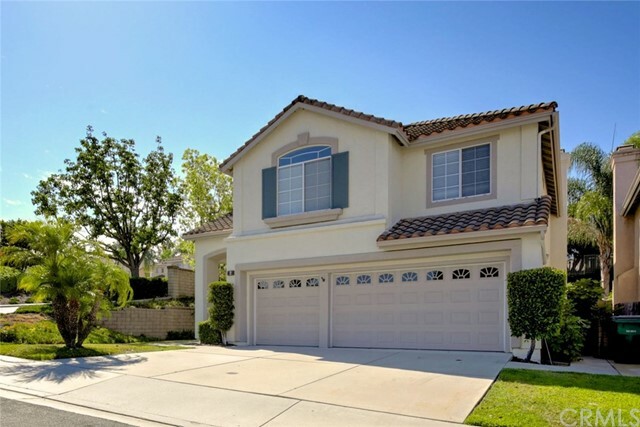 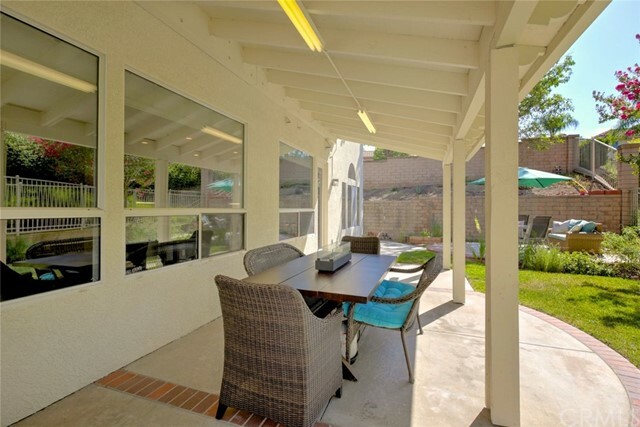 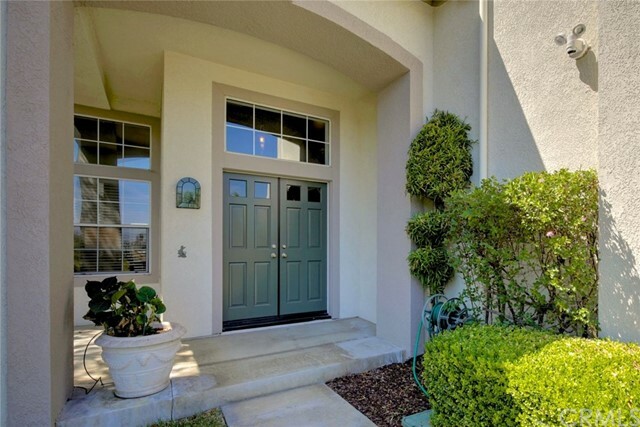 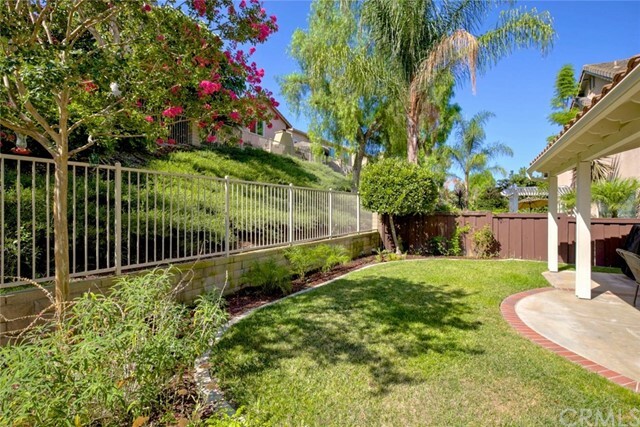 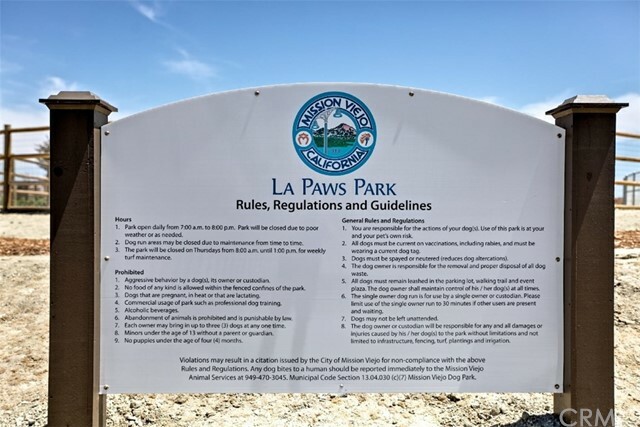 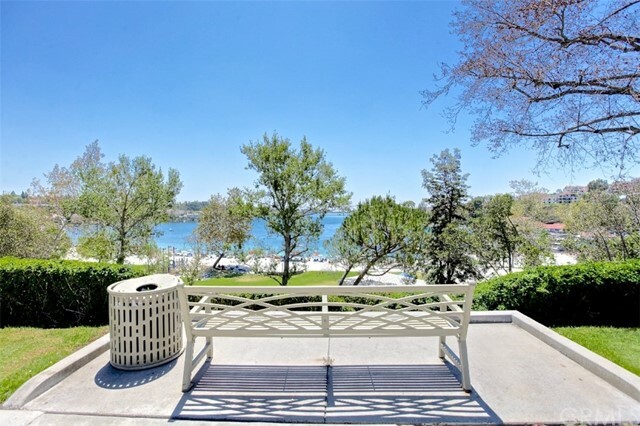 Enjoy Lake Mission Viejo access w/swimming, boating, fishing & more!